WWT 5.5 keeps running on Windows 7/8/8.1/10, in either 32-or 64-bit mode, contingent upon your working framework. It additionally bolsters local DirectX 11, DirectX 10, and has some support for down-level DirectX 9 equipment going through the DirectX 11 API. Discrete illustrations card with 1+ GB VRAM, DirectX 10 or DirectX 11 similarity, for example, NVIDIA GTX 480 or ATI Radeon HD 5850 or better. Try not to endeavor to introduce WWT 5.0 or higher on Windows XP. It won't run and can possibly keep the legacy rendition from running. 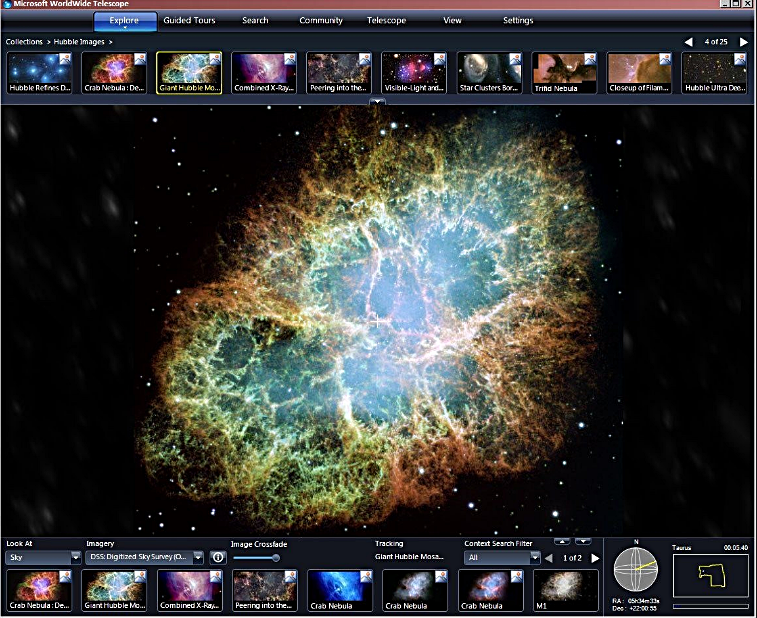 The WorldWide Telescope legacy rendition (WWT 3.1) bolsters Windows XP, Windows Vista, and DirectX 9.0c equipment running as a 32-bit application. Try not to endeavor to introduce WWT 5.0+ on Windows XP. It won't run and can possibly keep the legacy form from running.